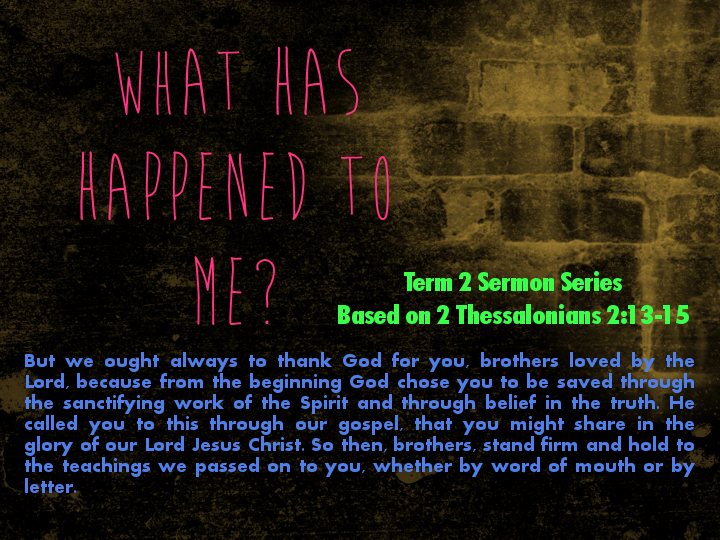 At St Luke’s, we’re going through a sermon series called “What Has Happened To Me?” based on 2 Thessalonians 2:13-15. “Chosen From The Beginning” uses Ephesians 1:3-12 as a jumping off point. Preached at St Luke’s Liverpool on Sunday the 5th of May 2013.